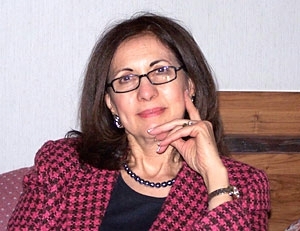 Dr. Mary Ann Diorio, Owner of TopNotch Translation Services, holds the Ph.D. in French and Comparative Literature from the University of Kansas. She also holds two Master's degrees--the Master of Arts in Italian Language and Literature (Middlebury College and University of Florence, Italy) and the Master of Philosophy in French and Comparative Literature (University of Kansas). Dr. Diorio earned the Bachelor of Arts degree in French with a minor in Italian at Immaculata College, Philadelphia, Pennsylvania. She has also studied Spanish on both the undergraduate and graduate levels. Born of a native Italian mother, Dr. Diorio grew up speaking both Italian and English. She also spent a year of study at the University of Florence, Italy, where she earned her Master's degree in Italian Language and Literature under the auspices of Middlebury College, widely recognized as the top language school in the United States. Dr. Diorio considers translation both a science and an art. She brings to her work a spirit of dedication and excellence as well as several years of experience both as an instructor in Romance Languages, a writer, and a translator. TopNotch Translation Services charges 11 cents (US dollars) or 0.13 Euros per word for a minimum of 200 words. For urgent translations with one-day turn-around, the charge is 15 cents per word (US dollars). We reserve the right to refuse to translate objectionable material.